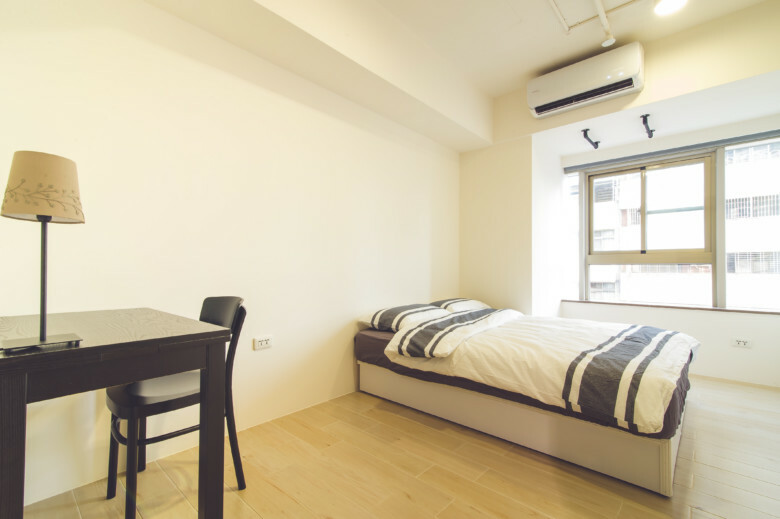 ・If your legs are very long，you can get to AHIRUYAH just 1 minute from the Formosa Boulevard Station. ・Im very sorry, if you can smell the stinky tofu. Because AHIRUYAH is too close to the famous Liuhe night market. 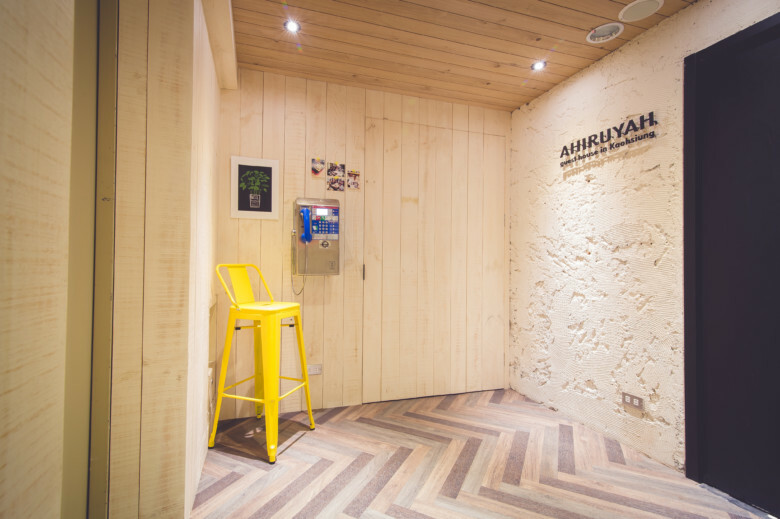 because AHIRUYAH is located of the center of the center of Kaohsiung. ① Formosa Boulevard StationExit No.10. 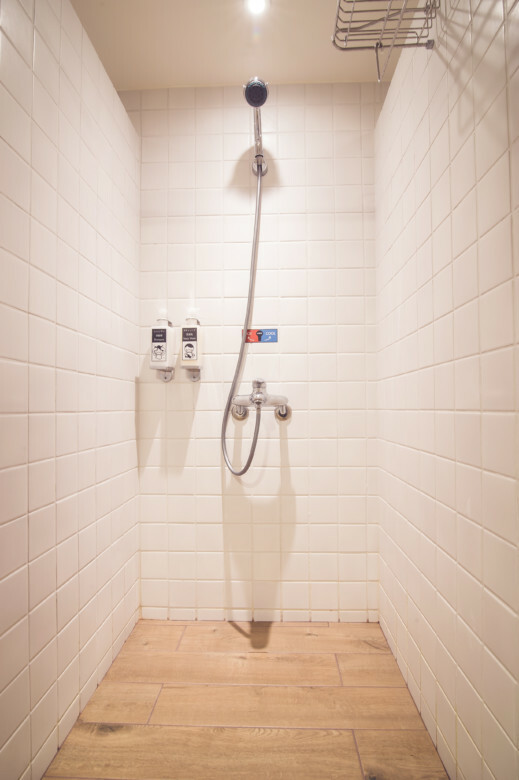 ※There's no elevator at Exit No.10. Please get out at Exit No.4 if you are carrying big luggage. if you get out at the No.4. ② Please go straight when you get out at Exit No.10, and turn right at the first crossroad. ③ There's a 7-11 on your left side. 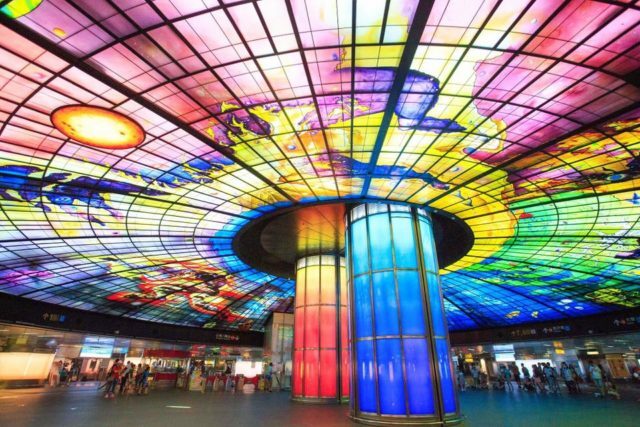 In the top 15 most beautiful train stations in the world, Formosa Boulevard Station is place 2nd in the list, being one of the busiest stations along Kaohsiung MRT system, it is certainly the most beautiful one. The station is also the location of the “Dome of Light”. 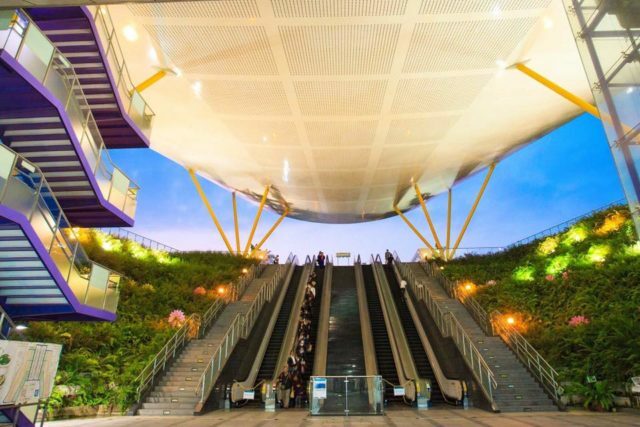 The “Dome of Light” is featured on the upper part of the station, is known as the biggest public art installation all over the world. It was designed by Italian artist Narcissus Quagliata.It is 30 metres in diameter and covers an area of 2,180 square metres. It is made up of 4,500 glass panels. And the Exit 1 to 4 was designed by Japanese architecture Takamatsu Shin. The main theme of his design was PRAYER. It's also one of the must seen sites. And AHIRUYAH is located near by the famous Formosa Boulevard Station. Located in Gushan District, British Consulate at Takao lies at the peak of Shaochuantou and overlooks Xiziwan Bay and Port of Kaohsiung. 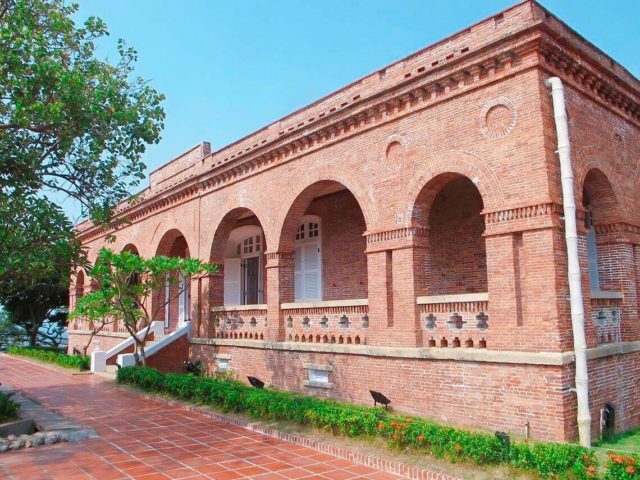 This red brick building with arched corridors on both sides is Taiwan's first western-style building. 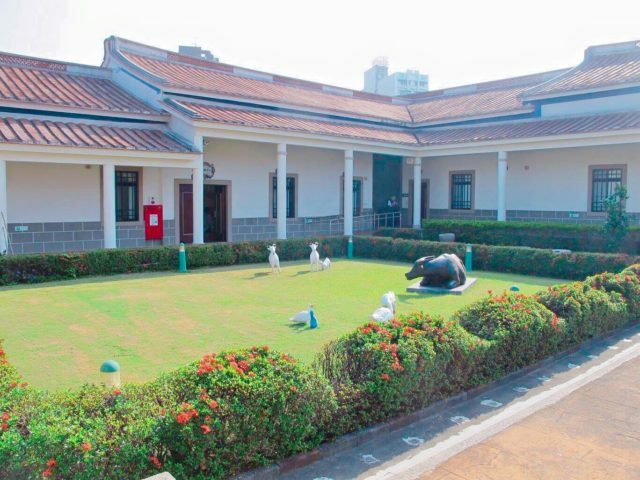 Now it's called Taokao British Consulate Cultural Zone and serves as a tourist attraction. In 1931, under the Japanese ruling this building was converted into an "Ocean Observatory" and a Weather Bureau Observatory in 1945. It was restored and reopened to public in 2004. The architecture of this building is that of the late Renaissance, providing a technical and stylistic basis for later Western buildings in Taiwan. It's famous for the sunset view. For your reference, this building was considered as Takao British Consulate before 2009, however it's for residence only. Kaohsiung Wude Hall (also know as the BUTOKUDEN) is located in Gushan District near the Xiziwan area, which was built in Japan ruling period. This is where Martial Arts and Japanese Culture were taught to the community. Many of them were closed in Taiwan. The building in Kaohsiung was completed in 1924 and now is used as a place for Kendo trainging. And their Taiwanese master is belong to the school of Miyamoto Musashi whom was famous for his Dual Wielding technic. 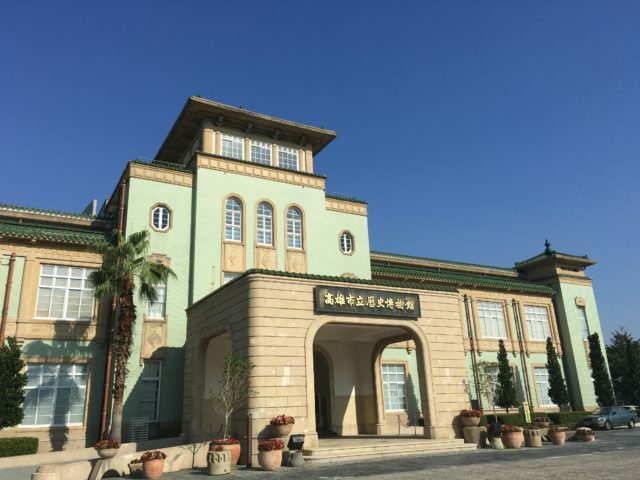 Taokao Railway Museum is near the Exit No.2 of Xiziwan Station. 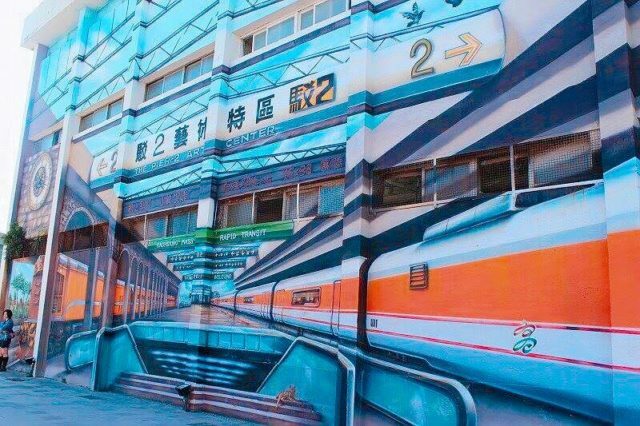 The museum descends from the Kaohsiung Harbor Train Station, was built during the Japanese period. It was restored and open to public in Oct 2010. 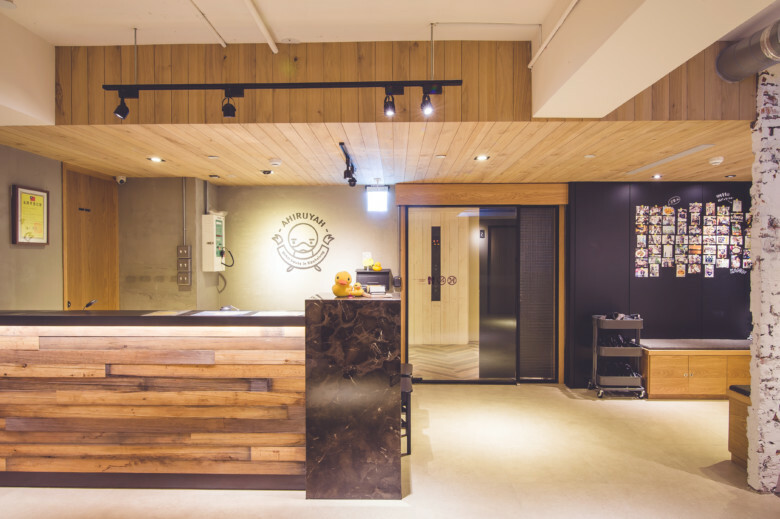 The building is well kept, and you can see their reception office, the tickets, their operation system map and even the time table of the train of ancient time. Also, there's a real steaming train of the Japan Iron Age. And many valuble documents was kept in it, all these makes it a MUST GO place for Railway-lovers. Cijin Island Kaohsiung is a small island just a 5 minute ferry (Cijin Ferry) journey from Kaohsiung Harbour (it is also reachable by car from a bridge further down). Merely 200 meters in width, 11 kilometers in lenth, the long-shaped Cijin Island was originally connected to Kaohsiung city by sandbanks. 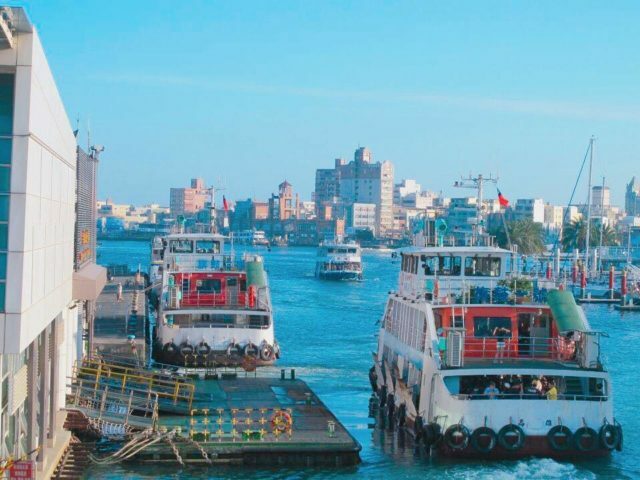 A harbor expansion project cut Cijin off from Kaohsiung, turning Cijin into a separate island. You can cycling along the whole island. 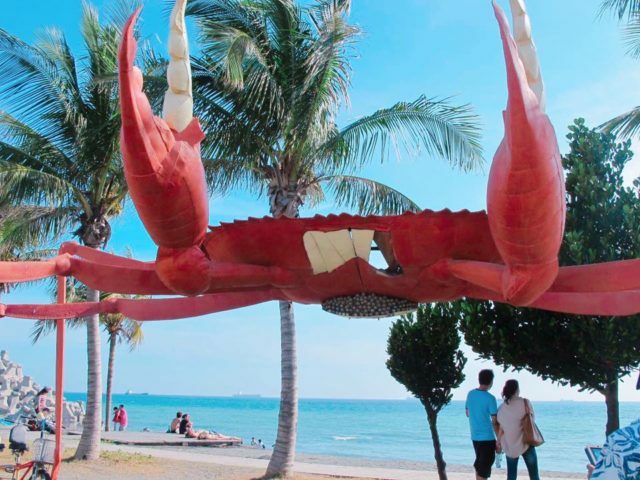 And Cijin Island is reputed to be the best place to eat fresh seafood in Kaohsiung. As well as the attractions and food, the island offers a nice clean beach where the sea is lovely and warm for swimming. 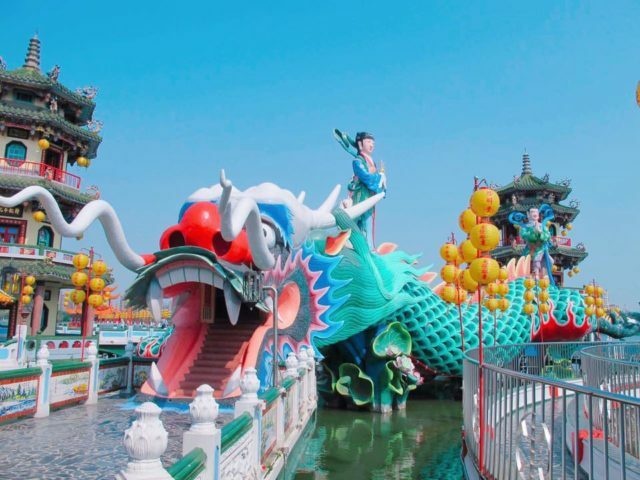 The sea goddess Matsu,which protects people of shipping and fishing business, has been worshipped at Cijin Tianhou Temple for over 300 years. 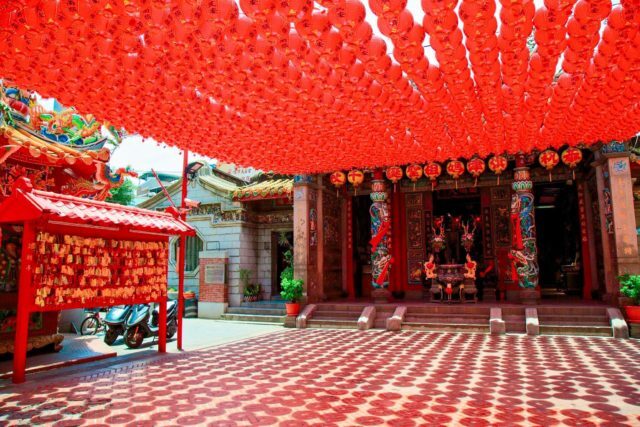 The Temple was Taiwan's first temple to Matsu and is also Kaohsiung's oldest temple. It's located at the entrance of Cijin's main street that near the ferry station. The two-floored Ferries have long been the main transportation method used by locals to get to and from Cijin. Ferries don’t just carry people (on the second floor) to and from Cijin(Qijin), on the first floor, they also carry motor bikes and bicycles. Today a ferry ride has become of the distinctive experiences the city offers tourists. With increasing commercial shipping activities and a lack of a proper ship navigation system, the British engineers built a Chinese-style rectangular red-brick lighthouse at the top of Mount Ki-au (旗後山), at the southern side of the harbor.During the Japanese rule, in line with the expansion of the harbor, the lighthouse was rebuilt in 1916 as part of the project. 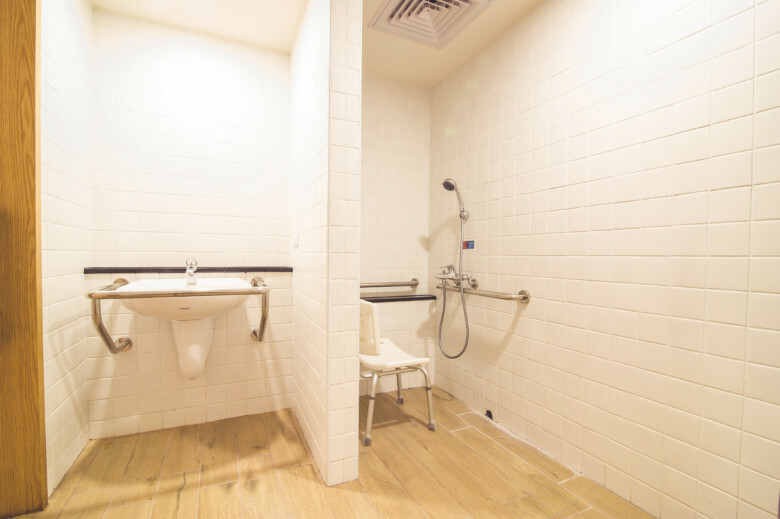 It underwent renovation in 1918 to what it looks like today. 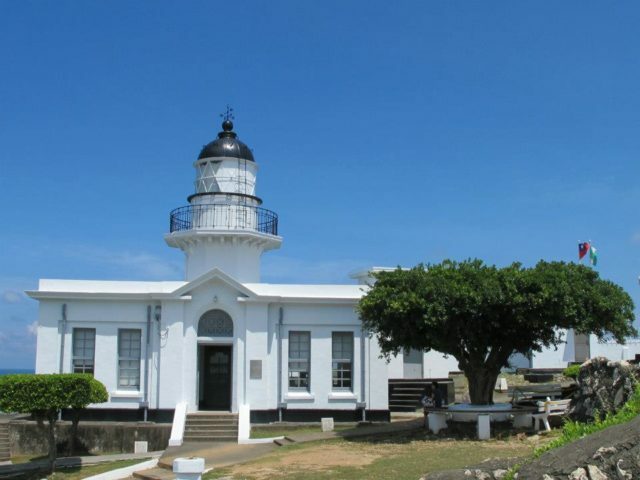 The base of the lighthouse building was rebuilt in Baroque style. The lighthouse now is the symbol of Kaohsiung. 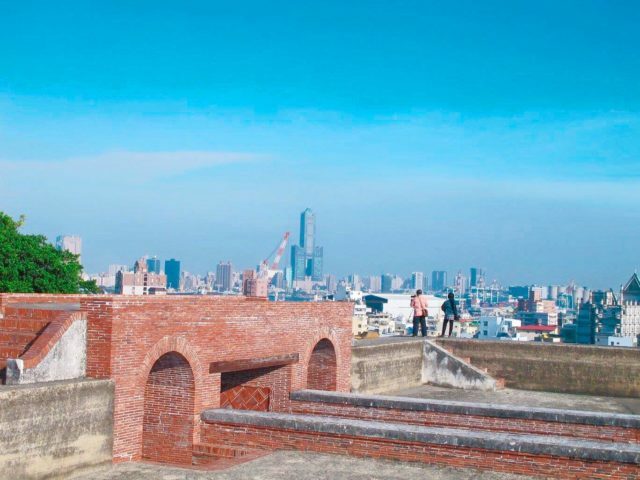 Cihou Fort or Cihou Battery is a historic fort in Cijin District, Kaohsiung, Taiwan, formerly guarding northern entrance to Kaohsiung Harbor. And Cihou Fort sit on top of the small cliff overlooking Chijin. Most structures in the fort were built with red tiles, and are imbued with traditional Chinese style. 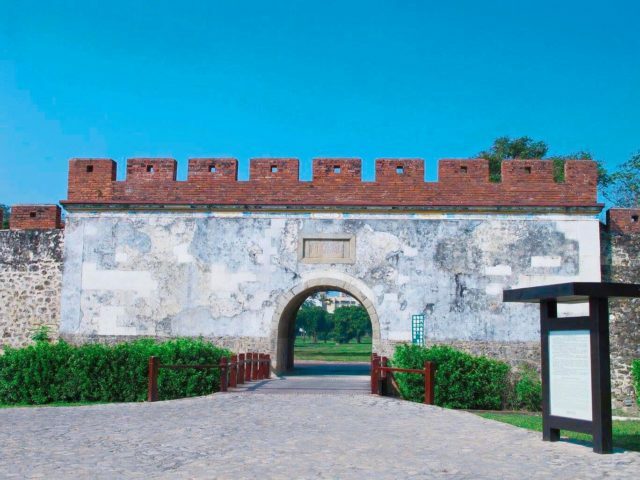 If you come to side walls and doors (bazimen and baziqian), the four characters in Chinese “ Zhen Zhen Tian Nan (振震天南)” are still visible – the fort has an extraordinary atmosphere. Pairs of characters have been inscribed on the walls, accompanied by inscriptions of bats in the corners, and many traditional architectural patterns can be seen on the ramparts and stairs, all of which are symbols of Chinese style.There is a wonderful 30 minute walking path that takes visitors around the base of the cliff to the mouth of the harbor and then up to the lighthouse and fort. The views are spectacular on clear day. 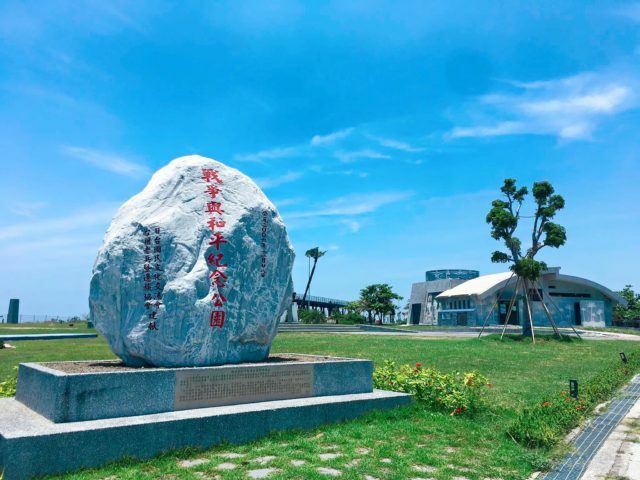 The War and Peace Memorial Park commemorates the history of young Taiwanese conscripts who left home during the Second World War and Chinese Civil War. There is a memorial in the park which displays all kinds of important historic pictures, textual information and utensils. An image of a Taiwanese man wearing the uniforms of the Japanese Imperial Army, the National Army and the People's Liberation Army adorns its outer walls, displaying the tragedy and fate of the Taiwanese people at the time. Outside, there's a memorial stele, heart echo square, park and observatory, because Cijin was the last place Taiwanese soldiers in the Imperial Japanese Army or Kuomintang army saw when they left for military service. 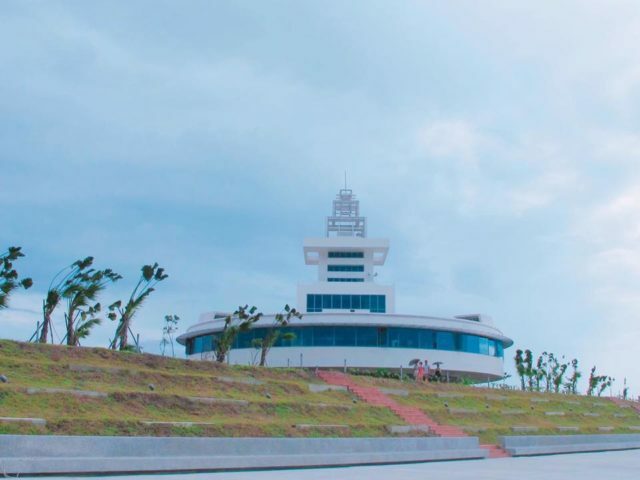 Cijin Seaside (Coastal) Park combines ferries, tricycles, a lighthouse, heritage sites and a seaside park. 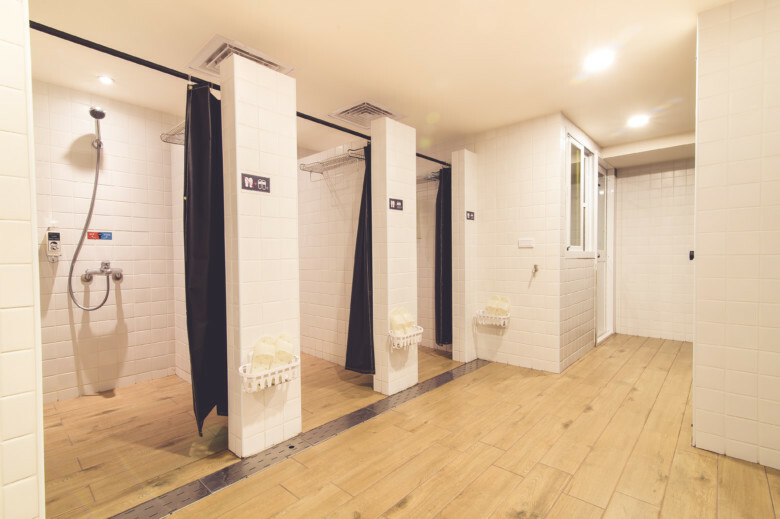 It includes a seawater bathing area, a scenic trail 1km in length which allows one to savor the view as the sun sets, cross-country and natural ecological areas. 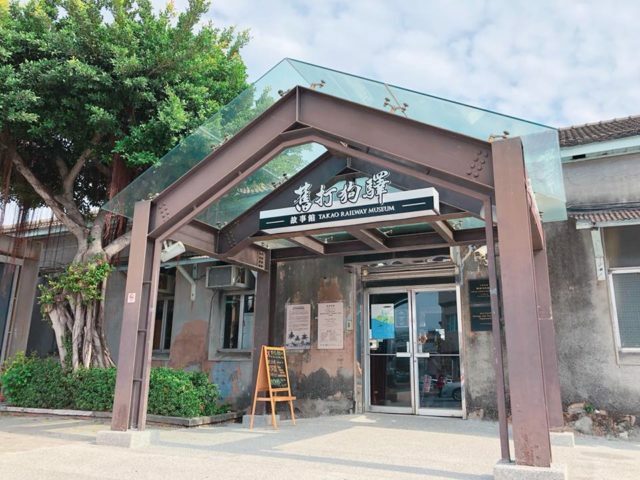 Located on the second floor of the Cijin Seaside Park's Tourist Service Center, the Cijin Shellfish Museum has the largest shellfish collection in Taiwan: it contains specimens of over 2,000 kinds of shellfish and around 200 kinds of crab, and five major clams and shells, as well as all kinds of precious shells sure to open your eyes. The jewel of the Museum’s collection is the world's largest Bivalvia (Liogryphaea arcuate) which, together with other amazing shellfish, are a collection as beautiful as could be found. 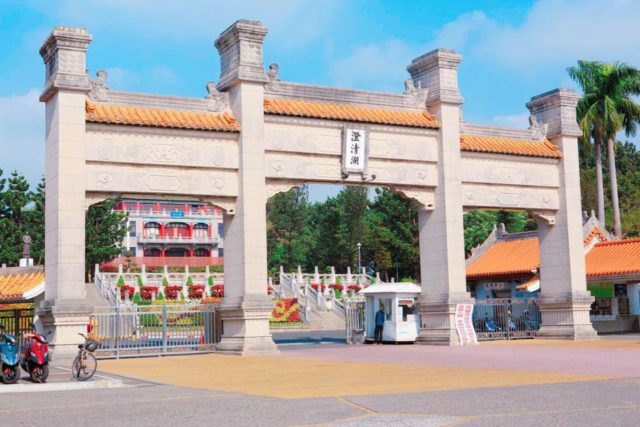 Qijin Rainbow Arch is located at Section 3, Qijin Road by the Visitor Information Center in Qijin Coastal Park. Designed with the idea of the horizon between the land and the sea, it is a landscape decorated with color installation arts. 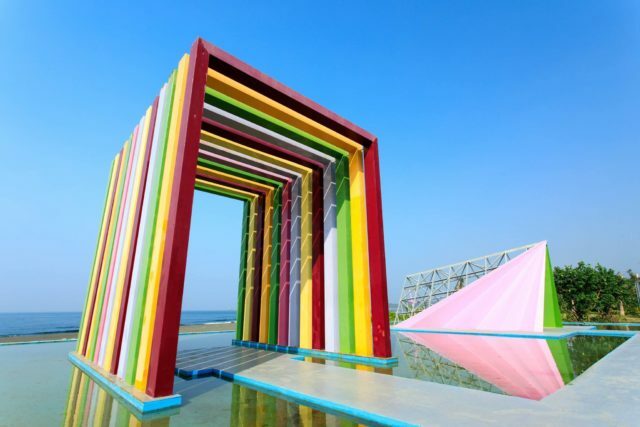 Those colorful installations are as beautiful as a Rainbow Arch. It's a perfect place for instagram pics. And for your information, from 16:30 to 18:00 everyday, it's only for wedding pictures shooting and not open to public. 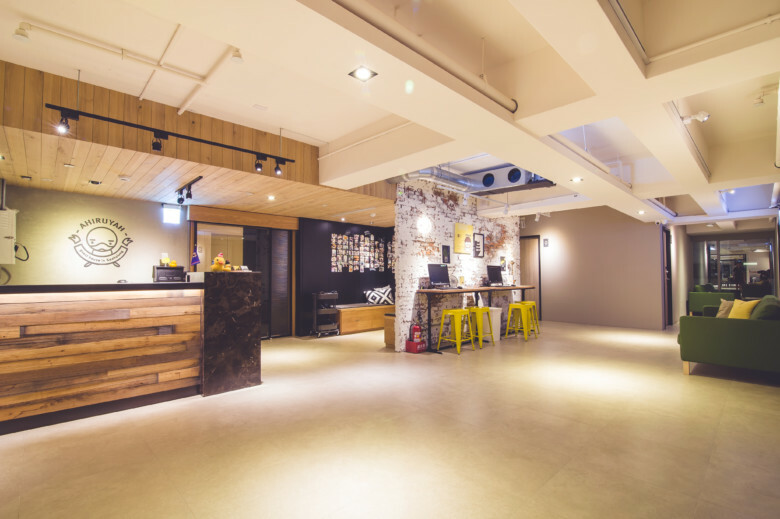 It was once an abandoned and forgotten warehouse buried in history due to the move from an industrial based segment to the service sector. However, with a group of persistent artist who injected waves of creativity and inspiration into the area, the Pier-2 area was released and re-born making the region a place where tourist and locals can come together to enjoy fine art. 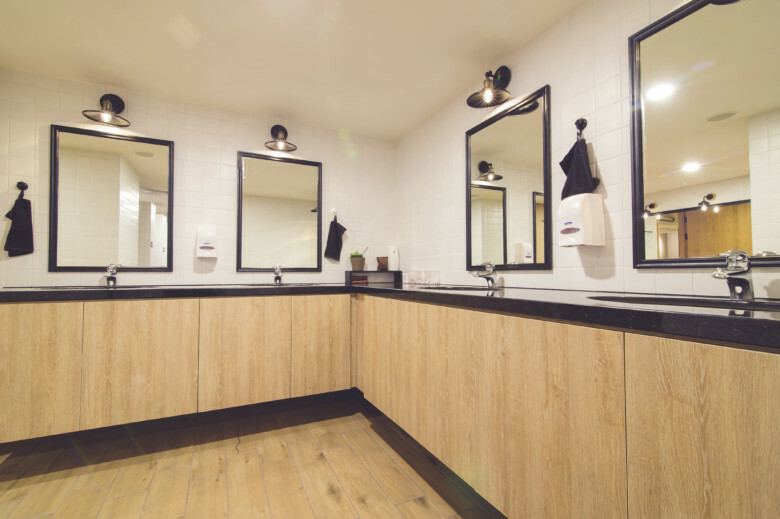 With the collision of an old area and new fine art, Pier-2 becomes an area of new vitality and liveliness. And there's a flee maket every weekend for selling handicraft. 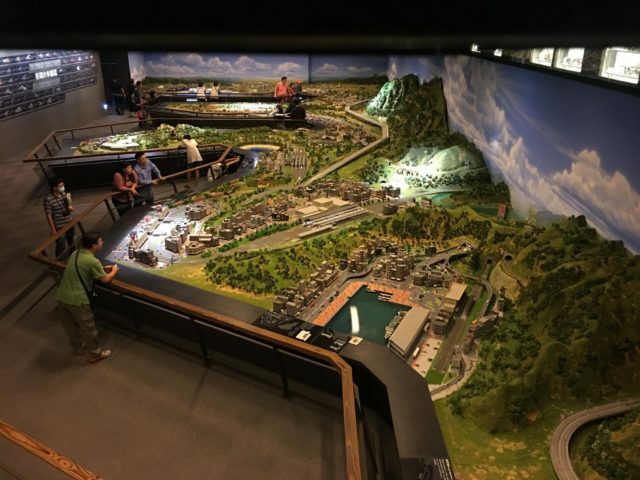 The Hamasen Museum of Taiwan Railway is located at Pier-2 Art Center PengLai warehouses, which has the largest HO (1:87) scale model exhibition display in Asia, and showcases models of the 12 railway systems across Taiwan, as well as classic buildings along the railways. The Museum works with the Hara Model Railway Museum of Yokohama, Japan. And there's a mini train track at the warehouse, you may have a joyride on the mini train. "Lianchihtan is a man-made lake and popular tourist destination on the east side of Zuoying District in Kaohsiung City in southern Taiwan. 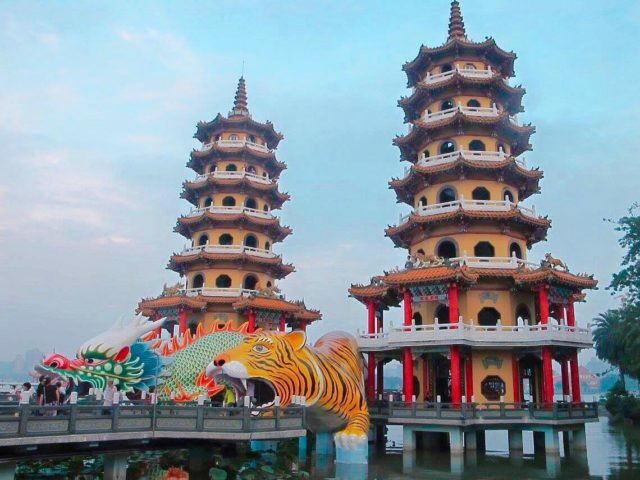 Opened in 1951, it is famous for the lotus plants on the lake and the numerous temples around the lake, including the Spring and Autumn Pavilions (春秋閣), the Dragon and Tiger Pagodas (龍虎塔), and the Confucian Temple (孔廟). Lotus Pond was the site for several water sporting events for World Games 2009, including canoe polo, water ski, and dragon boat." The Longhu Tower (Dragon Tiger Tower) is the most famous scenic spot in Lianchitan. Constructed in 1976, the tower is seven stories tall, and the dragon and tiger doors are its entrance and exit. 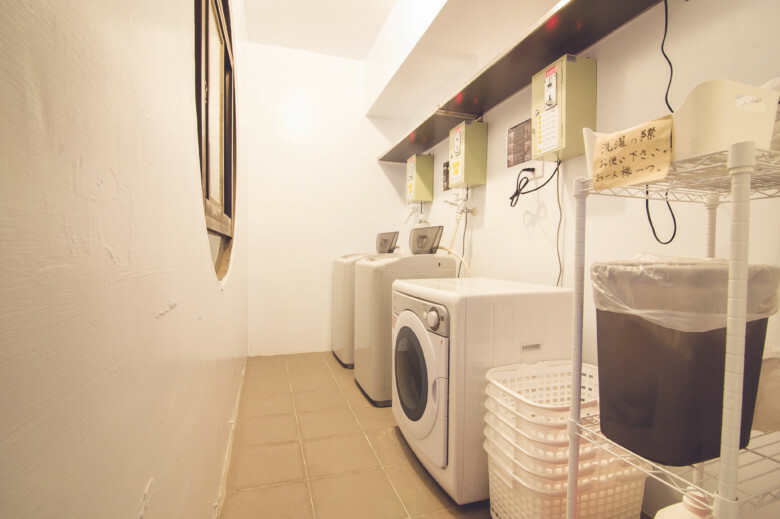 Its walls are decorated with koji pottery, which represent proselytizing stories, from a variety of artists. The tower’s body is connected the Nine-Turn Bridge (Jiuqu Bridge)) and is set off by the lake. There is a rule when visiting the Longhu Tower: enter at the dragon’s mouth and exit from the tiger’s mouth; this will allow you to avoid bad fortune and enjoy good luck. You can enjoy a 360-degree view of Lianchitan’s scenery. FYI, the tower closes at 18:00. On the Lotus pond there stood a giant Xuan Tian Shang Di (玄天上帝), which is one of the most popular Chinese God, being honoured and worshipped worldwide from Northern to Southern China, Taiwan, and Chinese Communities in South East Asia. 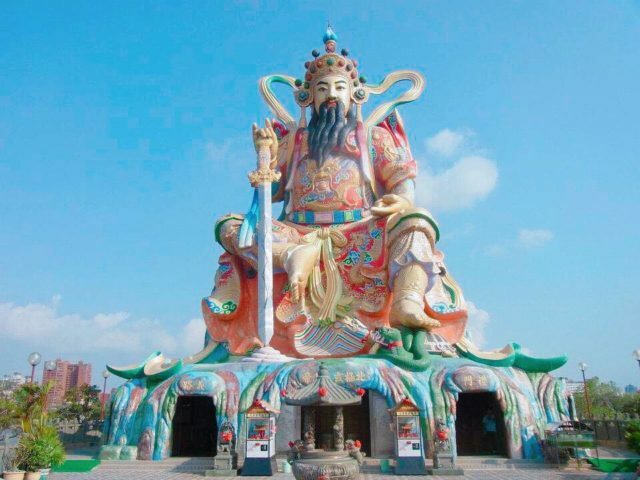 And this statue of Xuan Tian Shang Di is so far the biggest in the world, which is 22 meters high, standing on the snake and turtle and with an Seven-Star sword on his left hand. This is the classic image that often appears in Japanese comic show. 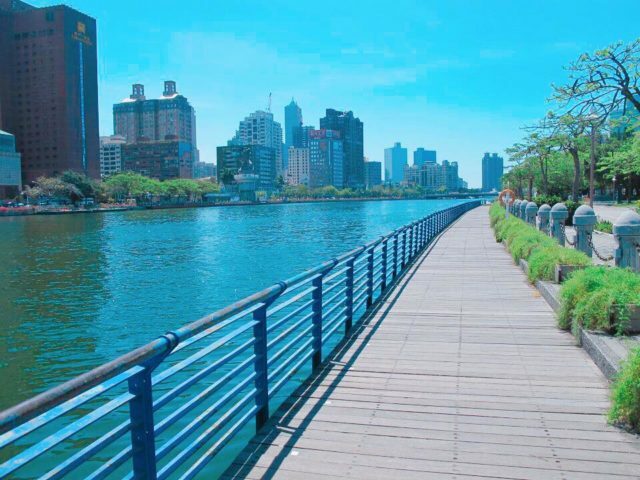 Love River begins at Bagualiao in Kaohsiung City's Renwu District. It divides Kaohsiung City, into two. Love River had originally been a shallow creek, which could only be crossed by ferry. During the Japanese Colonial era it was dredged into a canal and named The Kaohsiung River. This was the first time the river had been given an official name.This became a particularly popular past for local couples and therefore acquiring the name - Love River. Now it's a dating spot for lovers at night and also perfect for some sports. Situated beside Love River, the Kaohsiung Film Archive was established in 2001. 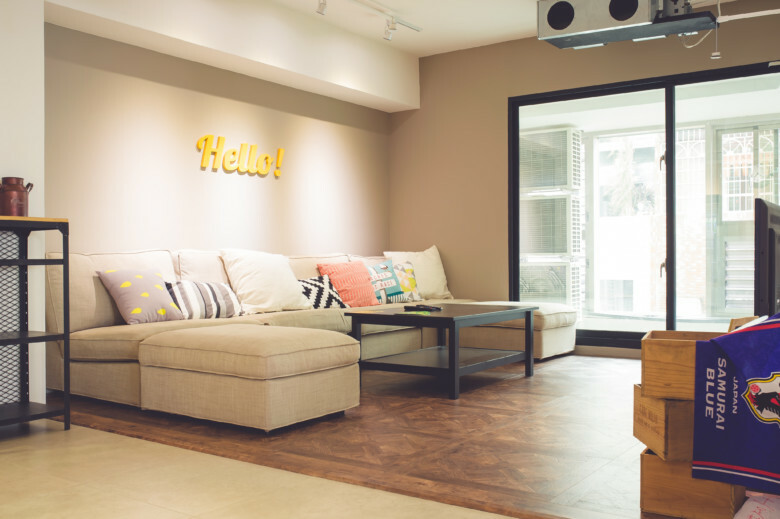 A small, exquisite, space, the Film Archive sells tickets for films every day, and provides many kinds of screening equipment, film books, and screenings of art films and documentaries. It is Kaohsiung's first community education organization which promotes film culture, attracting many film-loving citizens of Kaohsiung. 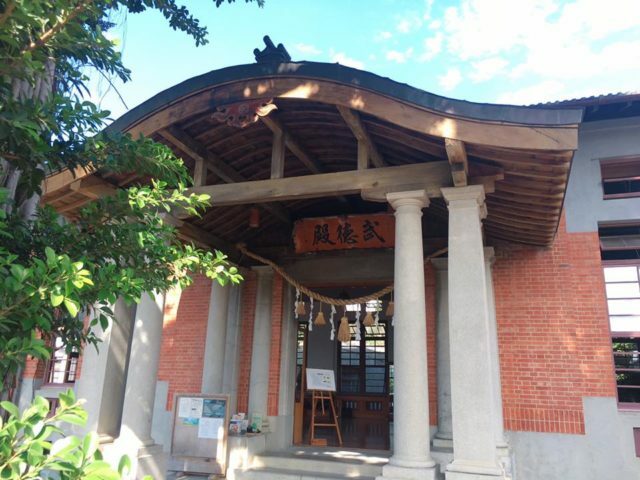 Shoushan Love Observatory, located just in front of the Martyrs’ Shrine, was officially opened recently in 2012. 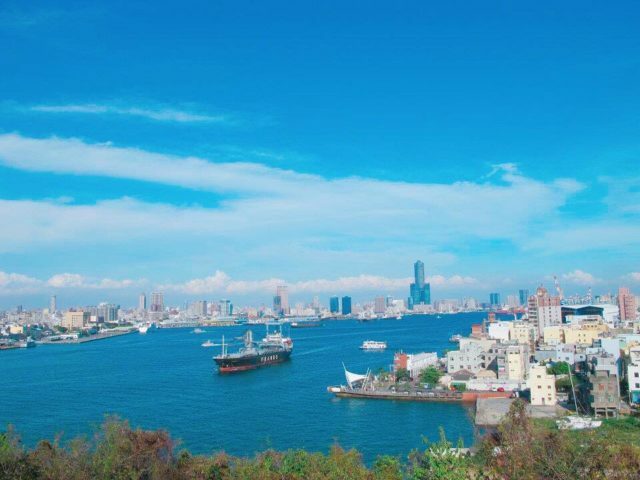 It is a tranquil resting spot at the mountain and offers a magnificent view of the port, the buildings, and the mountains in Kaohsiung. It is open all year round and does not require any entrance fee. 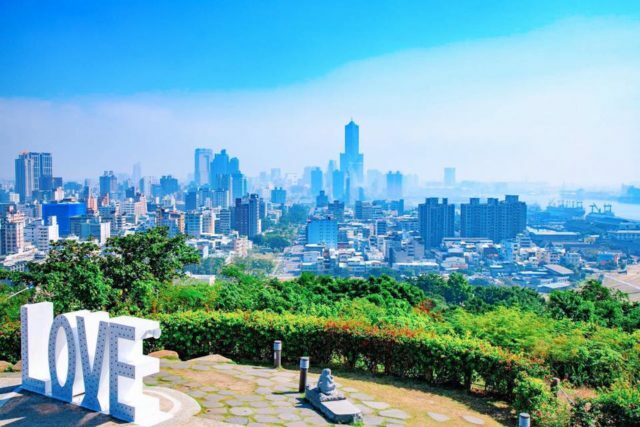 There is a gigantic ‘LOVE’ sculpture, made from steel, that completes the whole backdrop of Taiwan’s port city and also a 3-meter (9.8-foot) observatory. Both international and local travelers love to visit this site to relax and enjoy the sight of the city from uphill. There's a board full of writings of LOVE in 32 languages. And also three sculptures of monkey ,which representing "persuing love; in love and married". 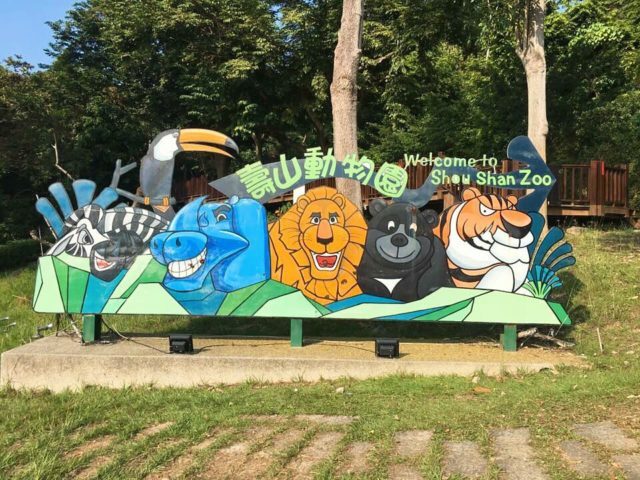 Located on Shou Mountain, the Shoushan Zoo is the largest public zoo in southern Taiwan. Mountains on three sides surround the zoo. 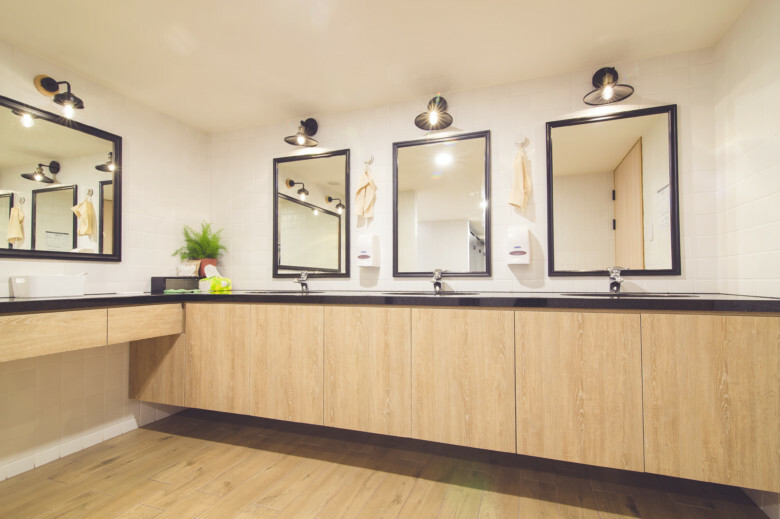 The zoo is made up of a variety of areas including small animals, mammals, predators, a bird park, a reptile center and a nocturnal animals center. The zoo is not very big, you can visit by walking or take the tour bus (whole tour is in 20 minutes), which leaves in every 30 minutes, and costs NTD 50. 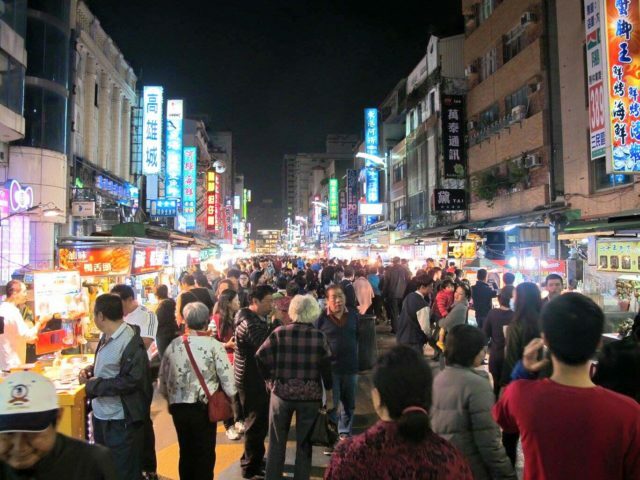 Liuhe Night Market is Kaohsiung's oldest, most typical night market. When night falls, Liuhe(Liuho) Street, close to the traffic of the city center, changes into a culinary heaven given over to pedestrians. The Market won five awards in the ROC Tourism Bureau's 2010 Unique Night Market Selection Activity. The market is 350M in length , and there are about 160 vendors. The price is about 5 to 10 yuen higher in average compare to the same food in elsewhere. It opens everyday from 18:00-02:00 and is only 5 mins walking distance to Ahiruyah. Largest night market in the south of Taiwan. 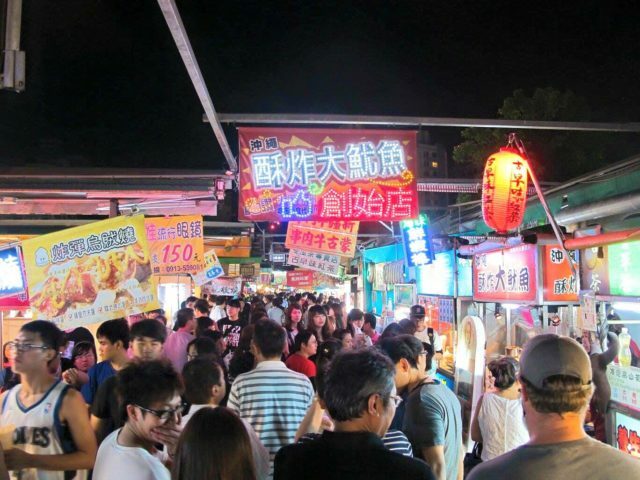 Rueifeng night market is the most popular one in Kaohsiung, which spans over 3,000 square meters and contains over 1,000 stalls. With its international delicacies vying for visitors' attention, stalls selling creative combinations of fine food at reasonable prices, and entertainment stalls. The taxi fee from Rueifeng to Ahiruyah is about NTD150. It closes every Monday and Wednesday. Fo Guang Shan is an international Chinese Buddhist monastic order and new religious movement based in Taiwan. 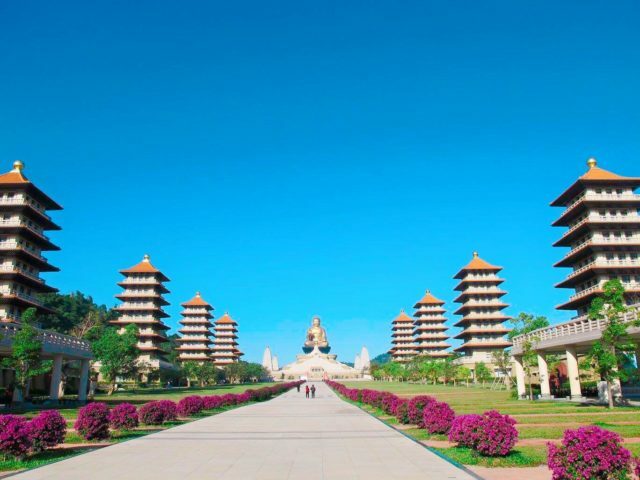 The headquarters of Fo Guang Shan, located in Dashu District, Kaohsiung, is the largest Buddhist monastery in Taiwan. Fo Guang Shan Buddha Museum is situated immediately adjacent to the main monastery and covers more than 100 hectares. The complex faces east and is built along a central axial line. Beyond the Welcoming Hall are eight Chinese-styled pagodas on either side of the main avenue leading up to the Bodhi Square, about which are statues of the Buddha's main disciples and of the founders of the principal schools of Chinese Buddhism. The path leads onto the Memorial Hall, which holds several shrines including the Jade Buddha Shrine. Above the hall are four stupas that symbolize the Four Noble Truths. Standing behind but separate from it, there is an enormous seated metal Shakyamuni Buddha 108 meters high, weights 1780 tons. There's one 7-11 convenient store only sells veggan foods. Also, there are many special souveniors that only could be found in Fo Guang Shan. 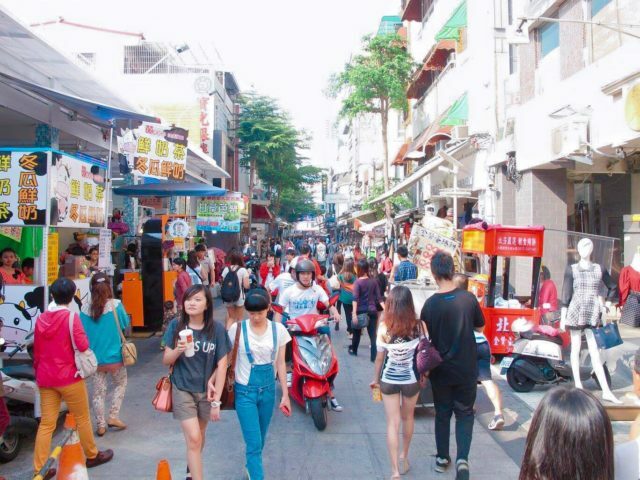 The Shinkuchan Commericial District (Mandarin" Xin Jue Jiang") is the Kaohsiung version of Harajuku, it is an evening market that caters to the younger teenage to mid 20's crowd in Kaohsiung City. 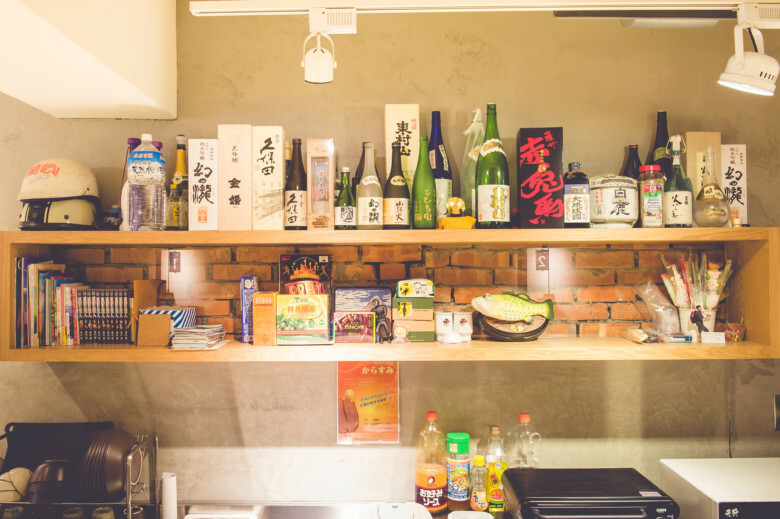 Shinkuchan is a collection of several streets and alleys and is packed with boutique clothing shops and restaurants along with many stalls selling food, snacks, and drinks. 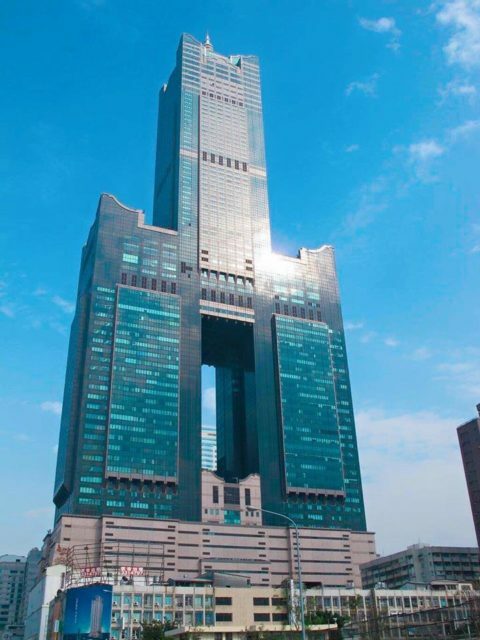 "The Kaohsiung Tower is also known as the Tuntex Sky Tower, and 85 Skytower, it is the 2nd tallest sky scraper in Taiwan.At 378 m (1,240 ft) it has a mixture of office space, shopping, restaurants and a hotel. The 75th floor is an observation deck where you can get the best views of Kaohsiung. There is a small charge for entry to the observation deck, but it is well worth the money. The observation floor is 296 meters high, and you will arrive there in 40 seconds with the speed of the elevator is 600 m/ per minute." 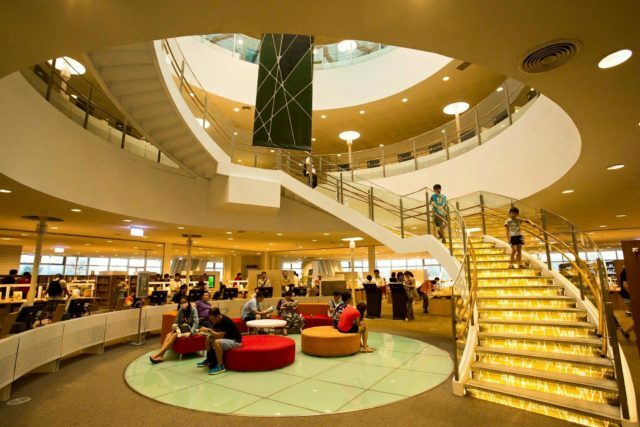 Kaohsiung Main Public Library is an example of green architecture which combines plants, protection of the environment and culture. 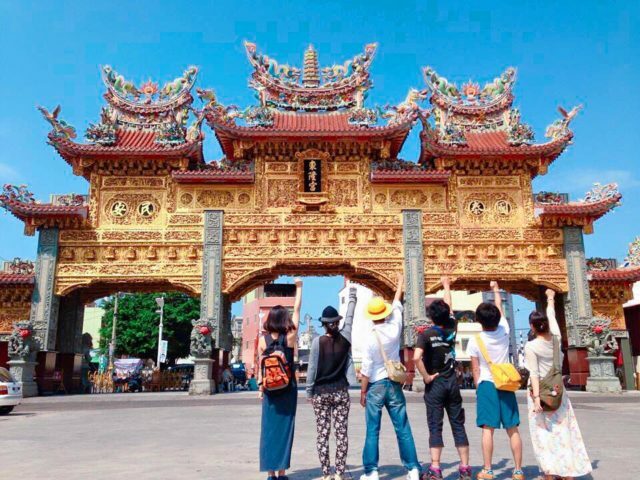 It is finished in 2014, and now is becoming a new attraction for both local people and foreign tourists. This 7- floors building, and an basement floor, which has a capacity for almost a million books. Also there's a hanging garden which affords a view of the scenery of the harbor has been established on the top floor. 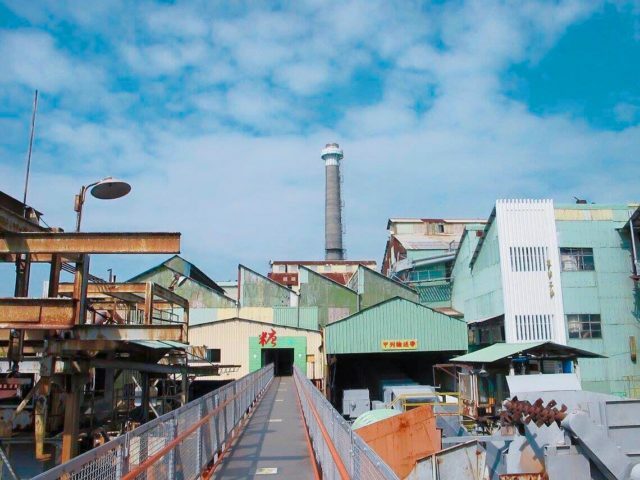 The Ciaotou (Qiaotou) Sugar factory, which opened in the Japanese Colonial period, was Taiwan's first sugar factory which incorporated modernized machinery, and is already over 100 years old. 19 heritage sites have been preserved, including the factory's imitation baroque tropical colonial architecture. It is no longer in use, but on some days you can still see the old mechanisms and vats. 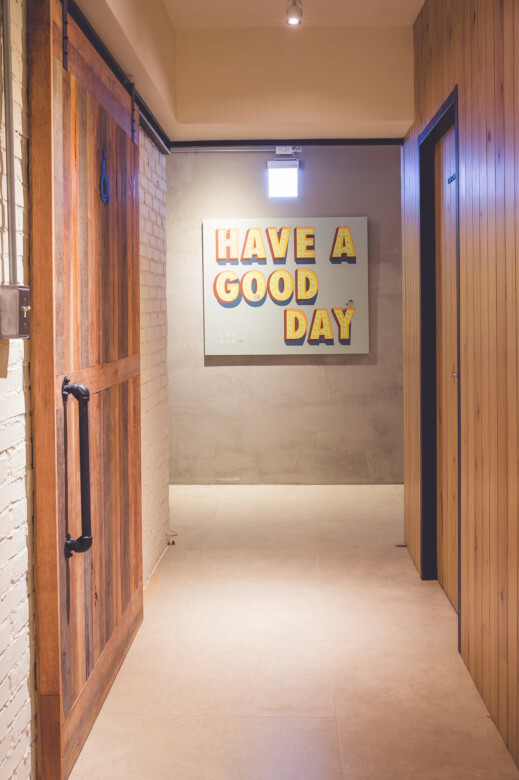 There's also an old village here that retains most of its early-20th-century flavour, some handsome mid-century-style offices and a couple of air-raid shelters. The railways in Ciaotou sugar factory was used for shipping sugar. And now is still in use for tourists. There are fields for planting pineapples near the MRT statsion of Ciaotou Factory, it is a nice place for walking. Also you can take the Wu-fen train, which refers to the half-gauge sugar train. The reason why it is called half-gauge is that the distance between the inside edges of the rails is measured as 1,435 mm based on the international standard gauge. The sugar train gauge at the sugar refinery is only 762 mm, about half the size of the standard gauge (Wu-fen, meaning ‘half-size’). This is why the train is called the Wu-fen train. 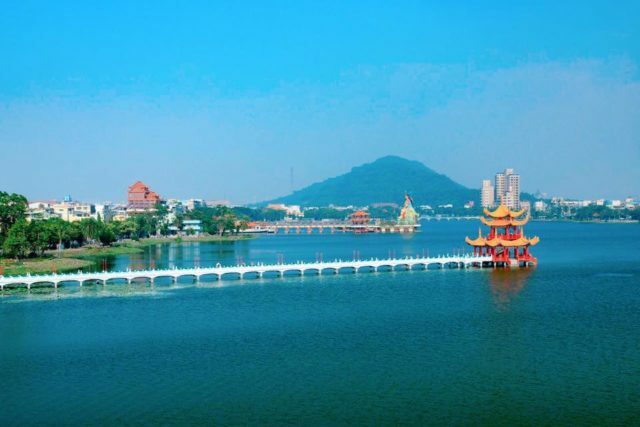 Chengcing Lake is the largest lake in Kaohsiung. It is a man-made reservoir that draws in water from the Kaoping River. It is located in Niaosong Town. The total area of Chengcing Lake exceeds three hundred hectares. It is called the West Lake of Taiwan. Itis a tranquil place with beautiful scenery which is ideal for walking, cycling, running, fishing, having a picnic and relaxing. There is a barbecue district. There are 8 famous attractions of Chengcing Lake, and it is impossible to see them all in one day. The Nine-cornered Bridge, the Jhongsing Pagoda are worth visiting. 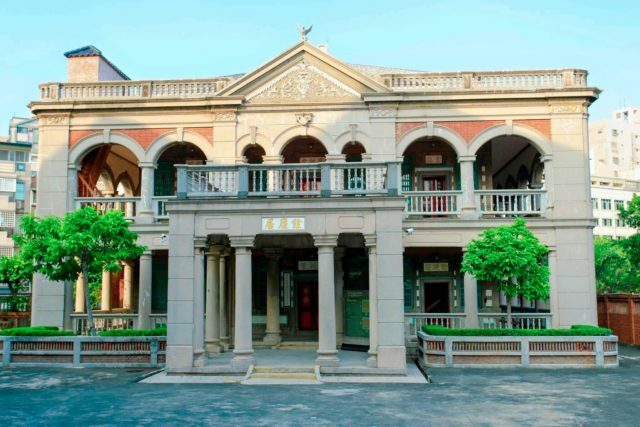 Fongyi Academy was constructed in 1814, and is considered a third-grade heritage site.It was a place where prospective examinees took the initial exams, and the largest Confucian academy preserved in Taiwan. Many cute statues have been added to the garden after the academy was refurbished, and 2 exhibition spaces have been planned, which provide a detailed introduction to the changes which took place in the academy's history and the furnishings it previously contained. The building of the Kaohsiung Historical Museum was originally the Kaohsiung City Hall. It was designed by Japanese architect,working with the Shimizu Corporation under the Japanese government, and completed in 1939.After 1945, the city hall was renamed to Kaohsiung Municipal Government. 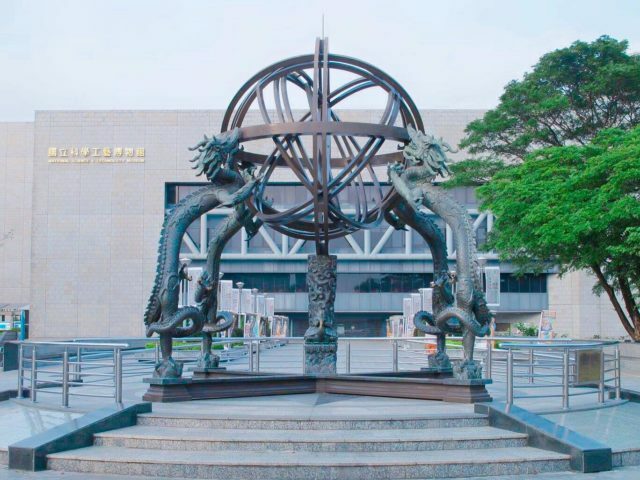 After the municipal government moved to Union Office Building and the old building was turned into the Kaohsiung Museum of History which was opened on 25 October 1998.The building's architecture is an example of the Japanese Imperial Crown style. 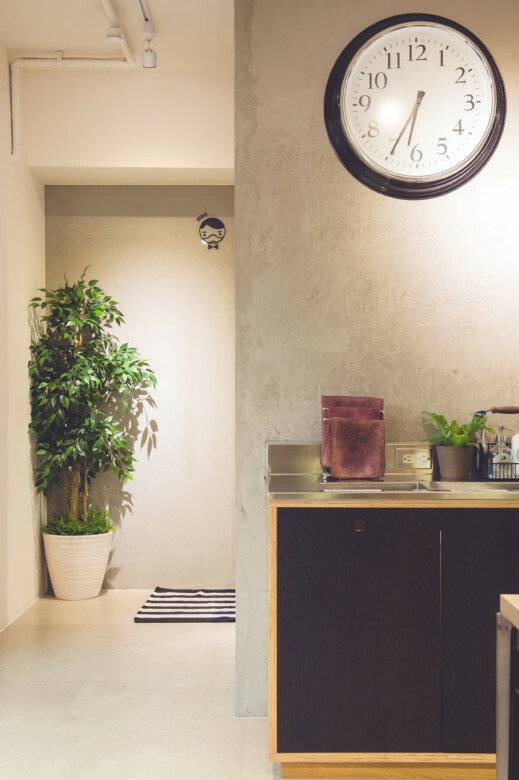 Tucked into neat rooms down the blond-wood and marble hallways are photographic displays, a semipermanent 2-28 memorial, and exhibits that change quarterly. The building of the museum was one of the important historical sites of the 2-28 Incident and it's said that the first gunshot in Kaohsiung was fired here in March 1947. The Kaohsiung MRT Central Park Station is a station on the Red Line in Sinsing District, Kaohsiung, Taiwan. The station is named after the nearby Central Park. The station was designed by British architect Richard Rogers.Windmill-shaped flowers cover the courtyard grass areas. This station is next to the Formosa Boulevard Station, which is the closest station near AHIRUYAH. 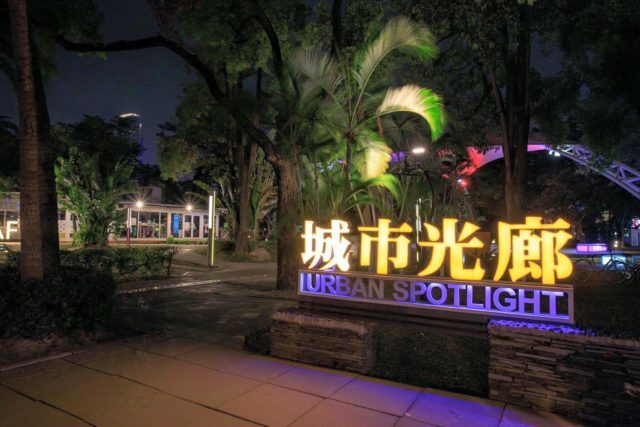 The Urban Spotlight Arcade is located in Central Park, constructed a shaded arcade with the smiling faces of 2001 citizens 18 meters long in 2001, creating a series of work with light as a theme, and travelers responded to it very positively. It was rebuilt in 2014 and an all-new culture and art space was created through a performance square, art trail, a few membrane structures and pieces of installation art. A total of 16 new themed installation works has been added. 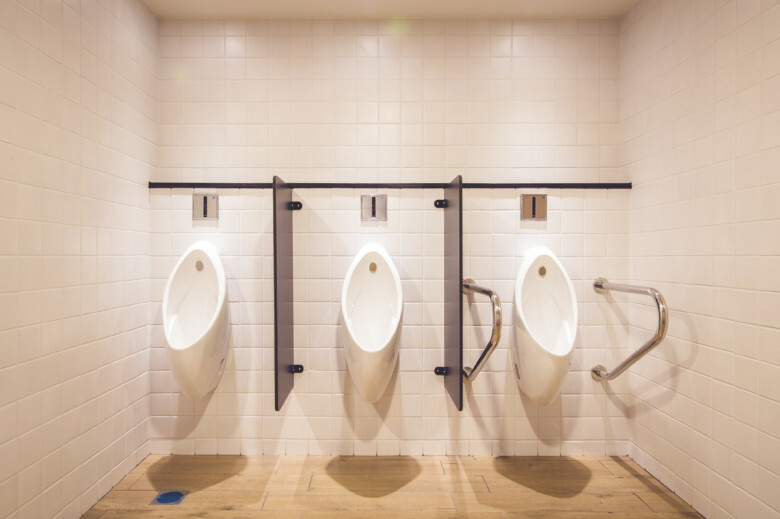 Many interactive pieces of installation art have revitalized the city, and the attached eating, drinking, and cultural spaces also provide space for art performances and pleasant leisure spaces. 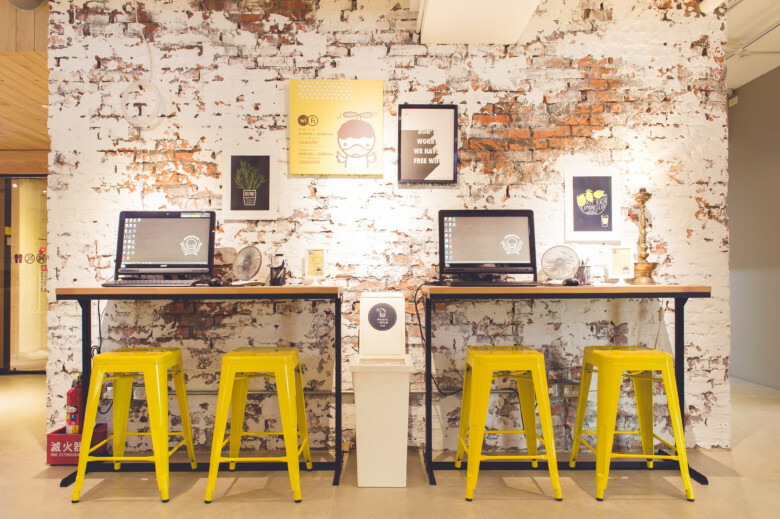 It was designed by 8 artists that was born in Kaohsiung. And there's a famous cafe: Jay Cafe, which was belong to the famous taiwan singer Jay Chou. Among the 1.5million citizens of Kaohsiung City, about0.25Million (or 17%)is of Hakka origin, and most of them came from Taioyuan, Hsinchu, Miaoli, and Pingtung. 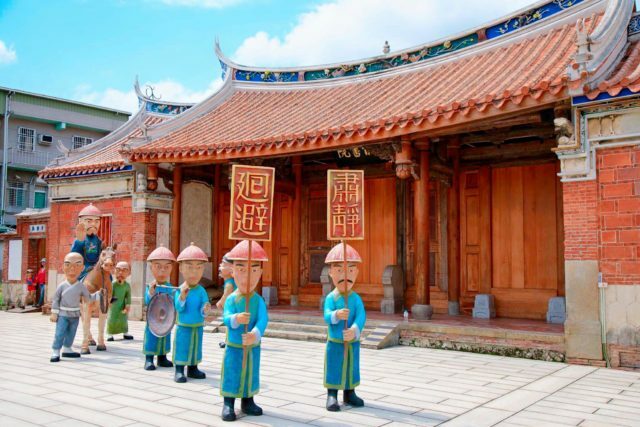 In hopes of preserving the Hakka culture, the Kaohsiung Government built Hakka Culture Museum 1995. The exhibition pieces include tools and instruments for production and transportation in ancient farmers, the daily household utensils, ritual ware in marriage and funerals, plus some old building materials and photos showing Hakka relics. The round Hakka tulou architecturewith with red-tiled buildings, a half-moon pond are are highly recomended. 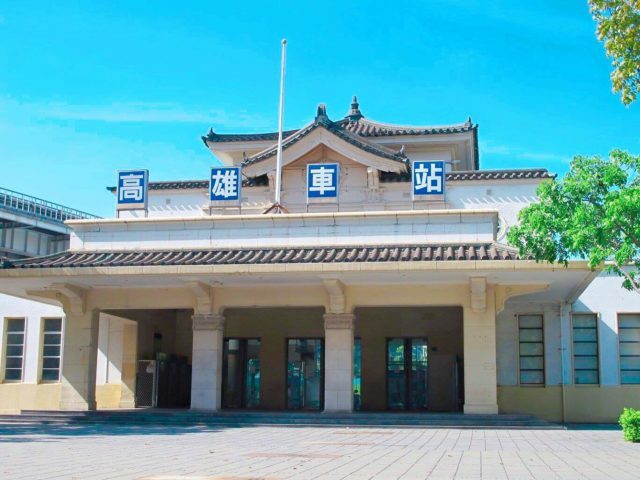 The former Kaohsiung railway station built in 1941 has been reserved and moved to the place near the temporary railway station and the Kaohsiung MRT station, and converted into the “Kaohsiung Vision Museum”. 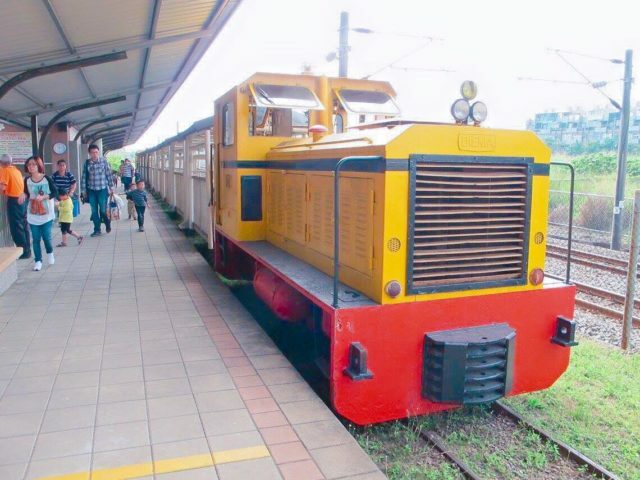 It is an e-Museum that presents Kaohsiung of the past, the present and the future.Residents can enjoy a journey of the ancient station while getting insights on the City Government’s development blueprint through the digital displays. Now, the railway station is a temporary station.The new station building is under construction due to the project of railway under ground.The station building is of a so-called “Imperial Crown Style” in Japanese architecture, delivering a strong message of Japanese militarism.And it would be used as the entrance when the new underground project completed. The Banana Pier is located by Fisherman’s Wharf, Kaohsiung. The Warehouse used to be used for storing bananas. The opening of the Warehouse greatly helped the export trade to increase in Taiwan. 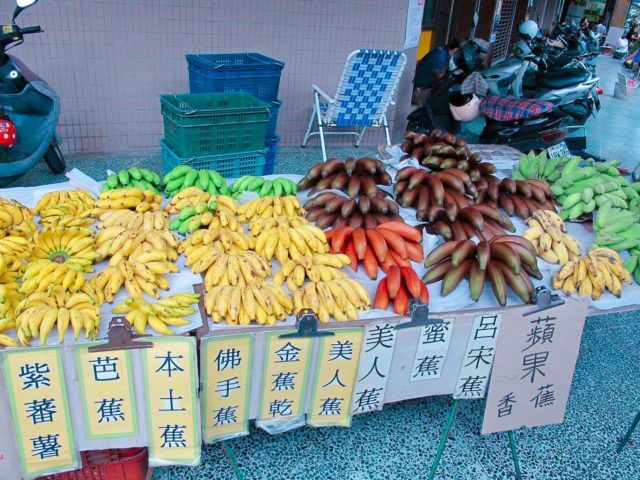 As Taiwan’s banana trade has since dramatically decreased the Banana Warehouse was no longer needed. 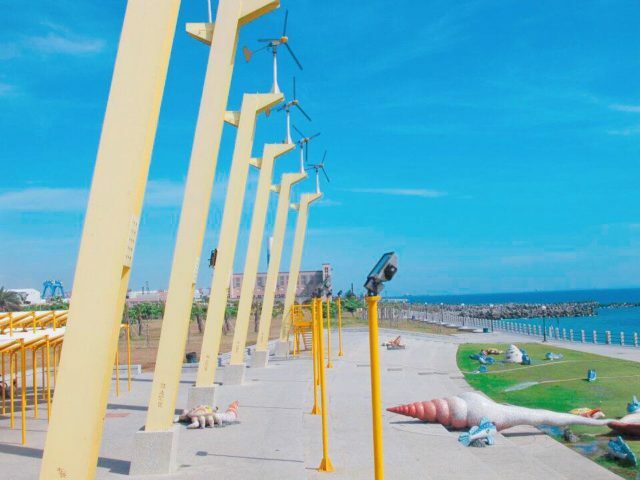 Now, it is located in an ideal location to enjoy the river views.It is easy to take in the panoramic views of the Port of Kaohsiung. Inside the Banana Warehouse, there are displays of information about the banana trade. However, since 2016 it's replaced by the photos and clothes of the late famous Taiwan singer Teresa Teng. The display of the banana trade was only cover a small corner of the warehouse. Maybe the warehouse would turn into Ms. Teng's memorial museum in the short future. Sanfeng (Sanfong) Central Street of Kaohsiung is similar to Tokyo's Ameya yokocho. It's the largest north-south wholesale goods center. Most of the stores gathered in this 400-meter market are old stores with over 100 years of history, selling all kinds of valuable dried food and ingredients and snacks wholesale, meeting every conceivable need. It is a traditional tourist spot. The Japanese tourists especially love to buy the dry shrimp which are perfect for cooking with vegetables and rice. 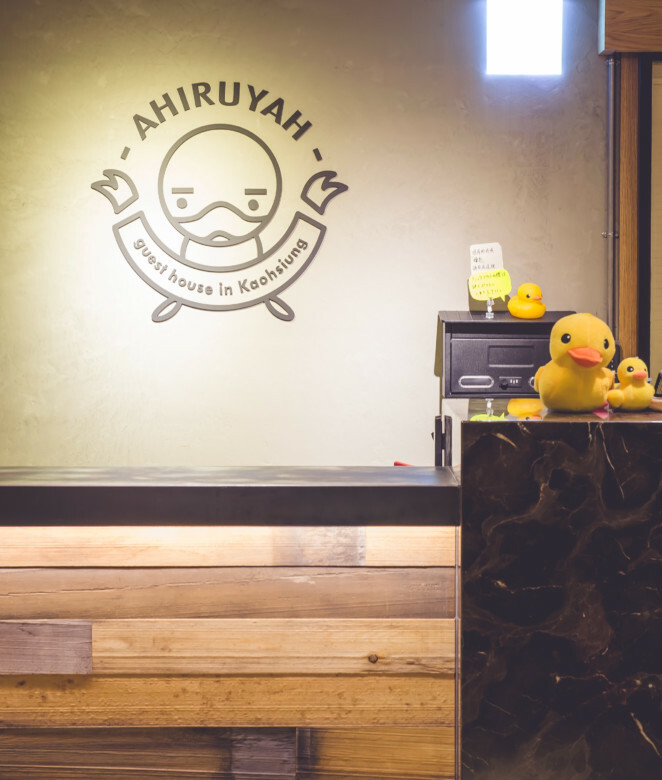 AHIRUYAH will recommend you to buy the sweet natto and the price is even cheaper than in Japan. The Sanfeng central street is not far from AHIRUYAH, you can go there by walking. The Kaohsiung Museum of Fine Arts is located in Gushan District, Kaohsiung, Taiwan. It is started in 1994. 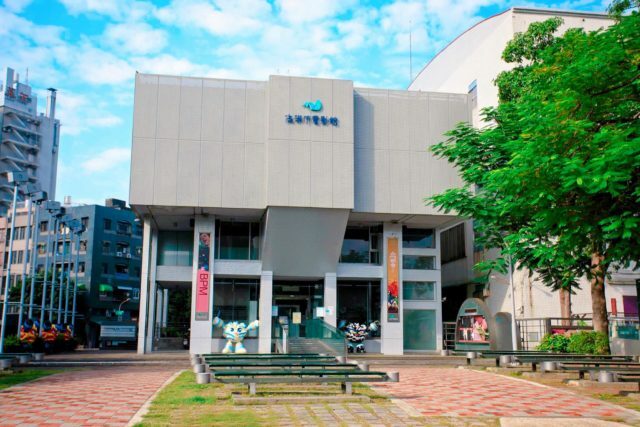 It is the third public arts museum in Taiwan. 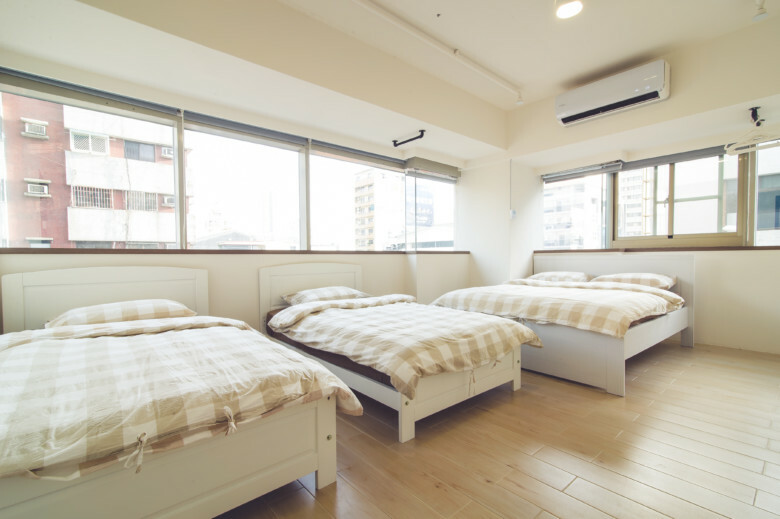 It has two basement floors and four floors on the ground. The “Kids' Art Museum”, which emphasized child art education and active learning, was opened in 2005. 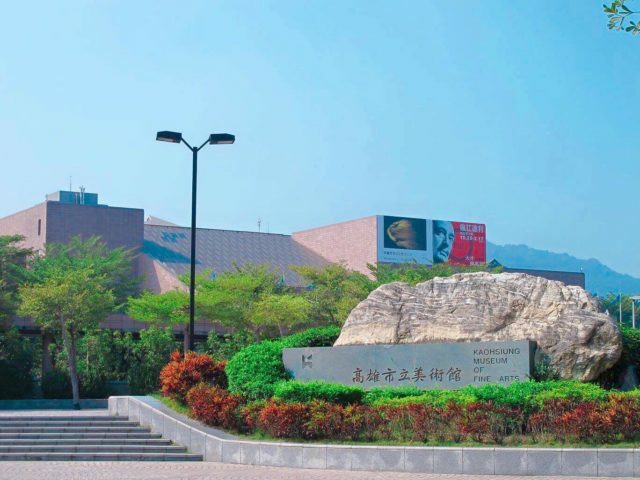 The KMFA became southern Taiwan's most important modern art and culture hub. A public art park was planned outside, with 40 pieces of all kinds of sculpture and installation art scattered amidst the grass, trees and lake, displaying diverse visual effects and also developing the natural environment into part of the art museum. It is a cultural gathering-place which unites the environment, art and leisure. The National Science and Technology Museum of Kaohsiung, along with the National Museum of Natural Science of Taichung, and the National Museum of Marine Biology and Aquarium of Hengchung are the most famous museums in Taiwan. It occupies a base area of 19 hectares, which is the biggest Science and Technology museum in Asia. The museum has embarked upon a commitment to provide a wide variety of technological education activities. 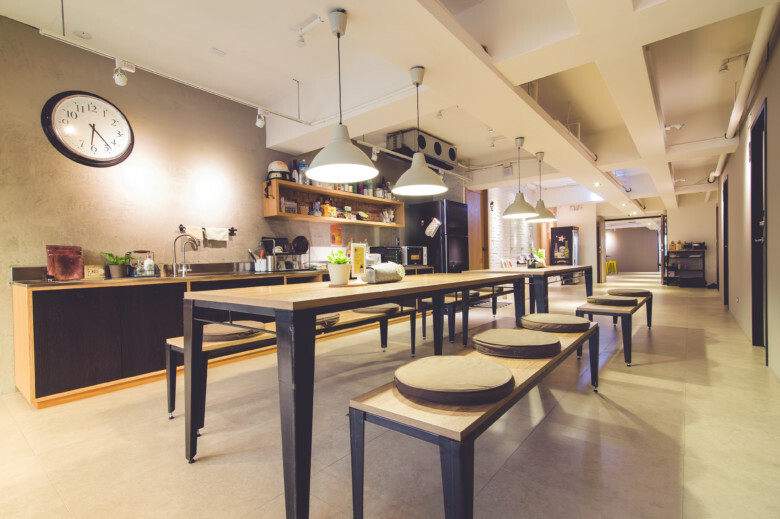 It offers an alternative learning environment where participants can learn about technological life in both serious and playful ways. 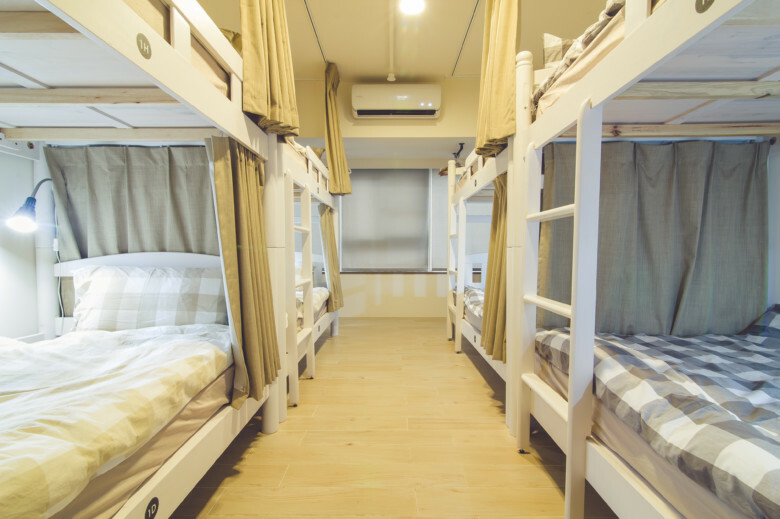 It is a place shoud not miss if you are traveling with your children. Hongmaogang Bao'an Temple is the only one that worships Japanese Warship in Taiwan. It's the gathering place of right-wing people. And it is also welcomes Japnese visitors. The Chrysanthemum pattern T-shirts that wore by the volenteers are for selling. 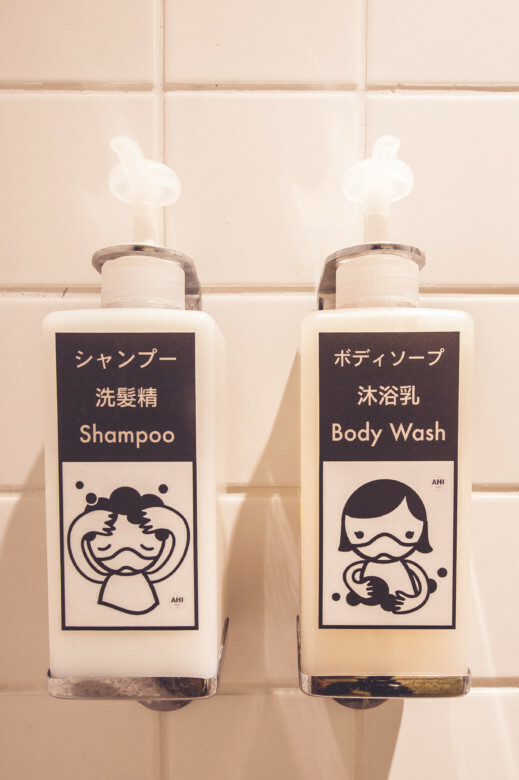 It's the exclusive souvenir only could be found in this temple. 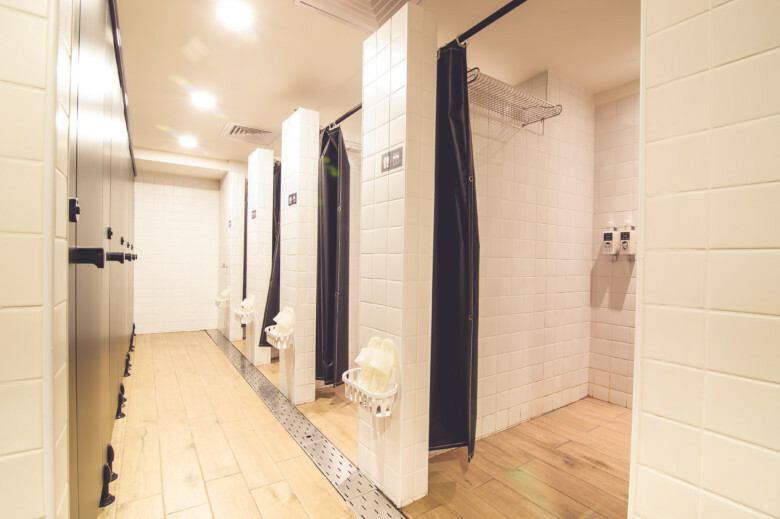 Inaugurated amid much fanfare in May 2016, the 8.7-hectare Taroko Park is equipped with an international shopping center, a movie theater, a basketball court, a roller-skating rink, a softball and baseball ground and a fitness center. It even has a F1-level karting circuit first ever licensed by Suzuka, Japan in the world. 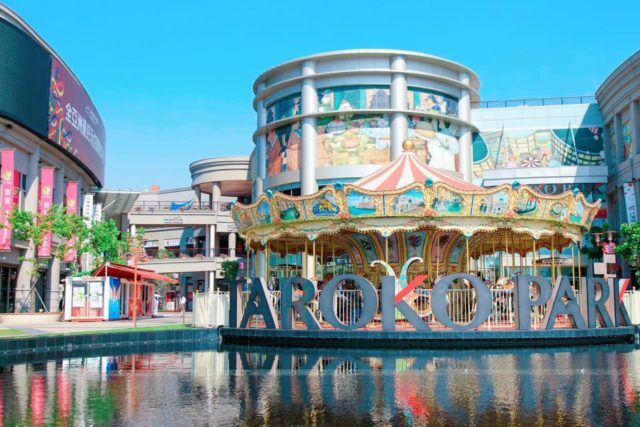 With an investment of NT$7 billion, Taroko Park rises as southern Taiwan’s newest multi-functional shopping and entertainment center. The Ferris wheel ,which is designed for the idea of F1 wheels is also a famous spot in Taroko Park. 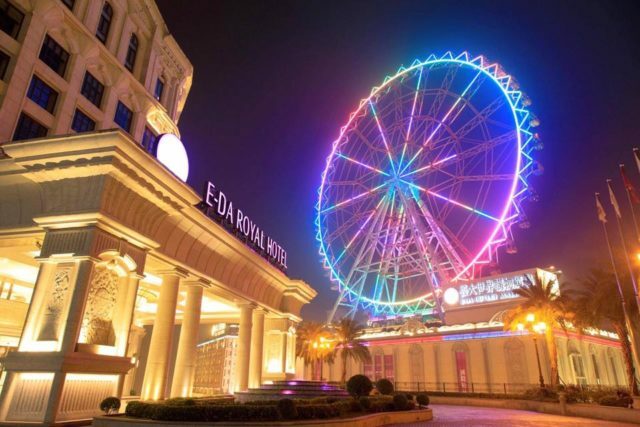 E-Da world was created in the late 1990's, and it has slowly developed into a tourist attraction for locals and visitors alike. The area includes a university, (I- Shou University), an International School (I- Shou International School) , a theme park with rides and rollercoasters, Italian villa style residential neighborhoods, a large outlet mall, two hotels including the Crowne Plaza Hotel, movie theaters, and a driving range to boot. The owner of E-da world wants to build itinto Taiwan's 'Disneyland. It's the biggest shopping center in Asia says the Japanese television station. Their farris wheels features a spectacular view of Kaohsiung. 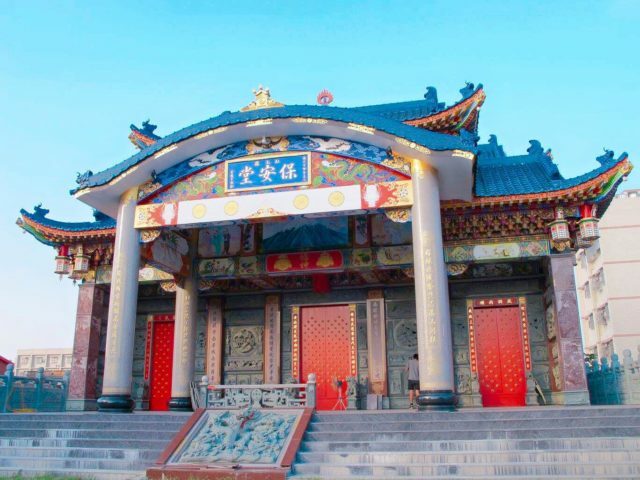 Previously known as Sunfong (Sanfeng) Pavilion, Sunfong (Sanfeng) Temple now has over three hundred years of history and is the largest temple dedicated to the Neza (also known as Marshal of the Central Altar ‘Zhongtanyuanshuai’) in Taiwan. 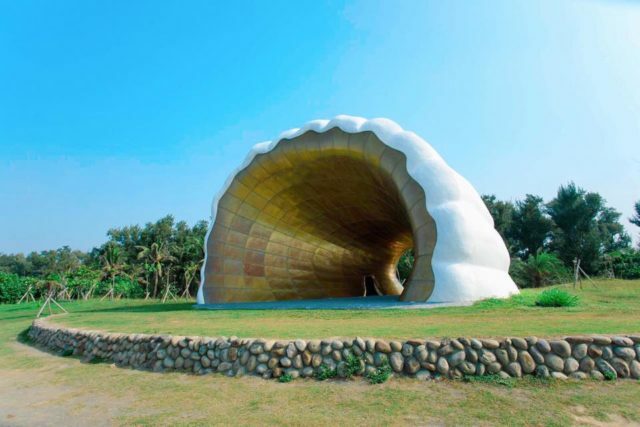 It was moved to its present location on Hebei 2nd Road in 1971, which takes about 15 mintues wlking distance from AHIRUYAH. This northern-style temple’s architecture is elegant and splendid. The master painter Pan Lu-Shui crated the solemn and exquisite door gods through the use of flat- color painting, and the temple’s broad square lends it a certain majesty. The performances given by the Three Princes troupes here at ceremonies, which resemble the most popular carnivals in the religious world, attract large numbers of believers. It is a nice place for morning walk from AHIRUYAH. Hong Mao Gang Cultural Park is located at the entrance of the Port of Kaohsiung’s Second Harbor. The Park was developed through the integration of resources around the existing Gaozi Tower and covers a total area of 3.42 hectares. 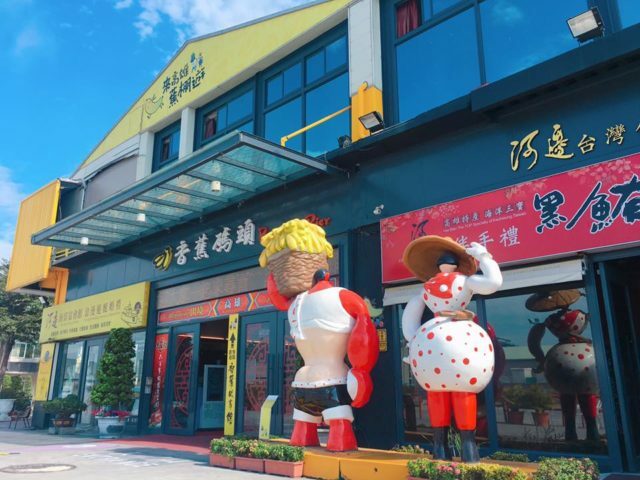 Though Hong Mao Gang community has disappeared and is now only part of Kaohsiung’s history, the establishment of this Park ensures the lifestyle and spirit of its people will last forever in people’s minds. Yacht Tour around the Port – The tour route passes through the Pier 2 Art Center and the Hong Mao Gang Cultural Park, allowing visitors to enjoy the view of this newly developed bay area in Asia. The Gaozi Tower was a signal tower which is shaped like the Chinese character 高(Gao). It is now a symbol of Kaohsiung Port and represents the development of the Hong Mao Gang community. Chen's family, which is one out of the five famous families in Taiwan. In 1911, Chen Jhong-he used to be the richest man in Kaohsiung. He built a Western-style terrace which was completed in 1920 which then became the first private Western residence in the city. Now is transformed into an exhibition hall Under the charge of Chen Jhong-He Charity Foundation established by the Chen Family. The building has remained sound so far. It opens to public on Saturday of the sencond week every month. The building was listed as a cultural heritage site in 2003. Donggang Township or Tungkang Township is an urban township in west-central Pingtung County, Taiwan. Located on Taiwan's western coastline, along the Taiwan Strait, it has one of Taiwan's largest fishing harbors. 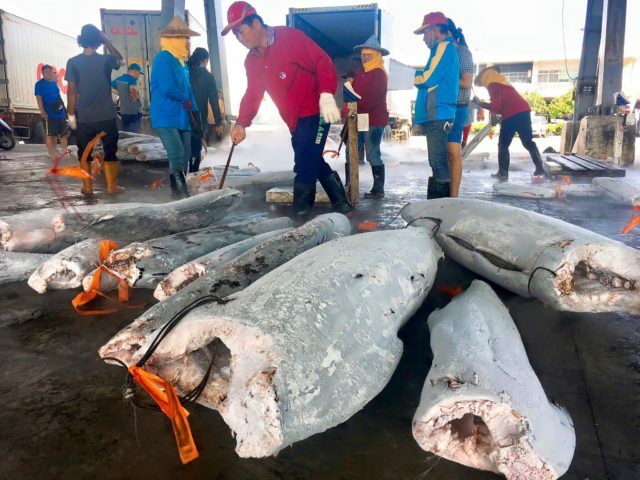 The tuna catch in Taiwan is much higher than in other Asian countries, although it has steadily declined. Japan is by far the largest importer of Taiwanese bluefin tuna. Also, you can have fresh sashimi at Hua Qiao fish market. Donggang also holds the dock for ferries departing to the small coral island of Xiao Liu Chiu. 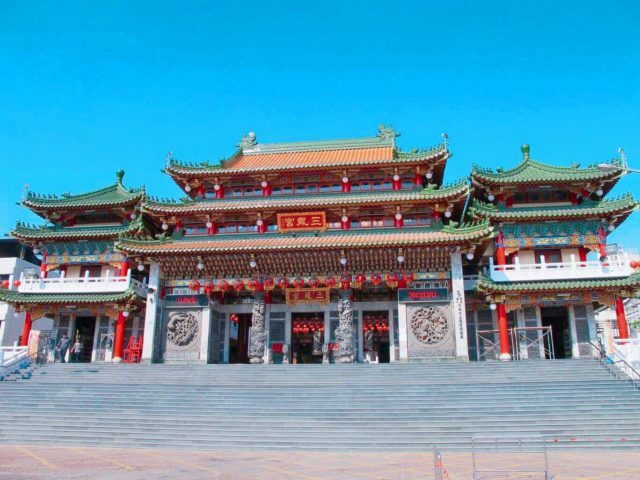 Donglong Temple is an extremely important center of Donggang faith. “Wang Ye Boat Ceremony” held once every 3 years is especially important to Donggang local residents. “Boat Burning Ritual” is the climax of this festive religious event, and has made Donggang’s Wang Ye Boat Ceremony Festival one of Taiwan’s most famous worship ceremony culture. Marshal Wen is the main deity of Donglong Temple. Burning of the Wang Yeh Boats is one of Taiwan's top folk festivals, this involves inviting gods to earth, feasting them, and then asking them to carry trouble-causing demons and plagues away with them on a boat. In the spectacular conclusion, the boat is torched to the ground on the beach. The festival happens every three years, in the years of the Bull, Dragon, Goat and Dog.The meaning of boat burnings has changed considerably today, and they are now held as prayers for peace and stability. The event will be held on 18th Nov this year. Meinong is a small city in southern Taiwan extremely rich in Hakka cultural character and unsophisticated customs, famous for the beauty of its ruins and scenery. Meinong Folk Village completely preserves Hakka culture, and combines it with the finest local industries, introducing Meinong's culture and geography, way of life and rich travel content. 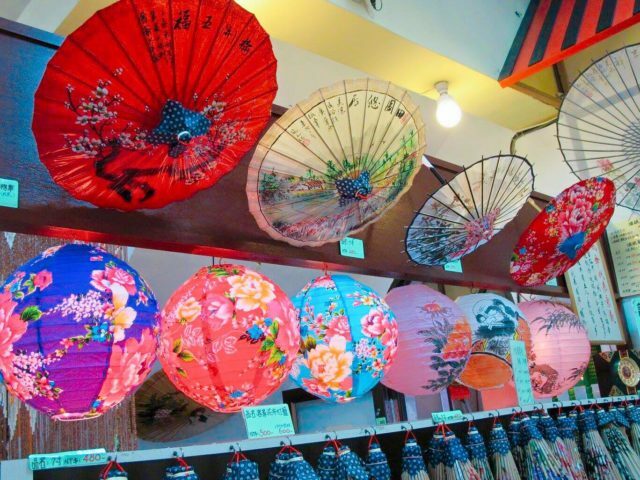 You can also appreciate and make traditional oil-paper umbrellas, as well as ceramic hand-made pottery, and there's also a restaurant which serves traditional Hakka cuisine, Meinong's local specialties and local Hakka snacks，such as Hakka noddles and famous Hakka green tea. A century-old street in which history and culture gather, whose baroque facade red brick structure mingled with sandstone, giving off an elegant classical atmosphere. Qishan (Cishan) was once a distribution point for bananas and sugarcane. 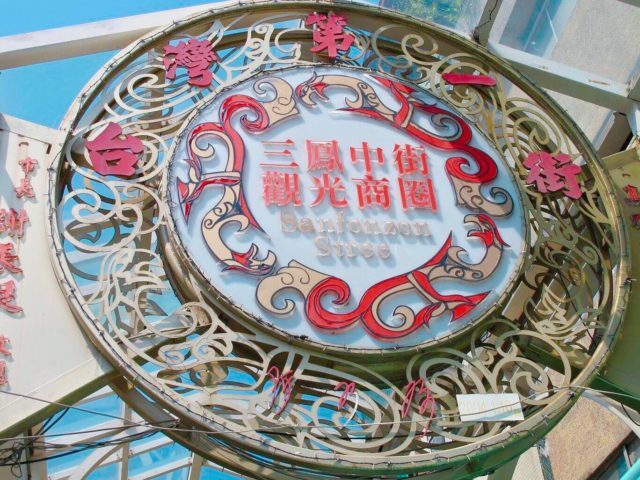 When you visit the history-steeped Old Street Commercial District the area's famous traditional snacks and banana sweets and iced snacks, and banana cakes are sure to be warmly remembered by visitors as well as the opportunity to understand historic culture and old architecture. Maolin in Kaohsiung is an important habitat for purple butterflies, and by the most conservative estimate, millions of Purple Crow Butterflies glide here on purple wings, coming to the warm, sheltered mountain valleys of southern Taiwan, forming an overwintering group, “Purple Crow Butterfly Valley” whose members exceed 1 million in number. 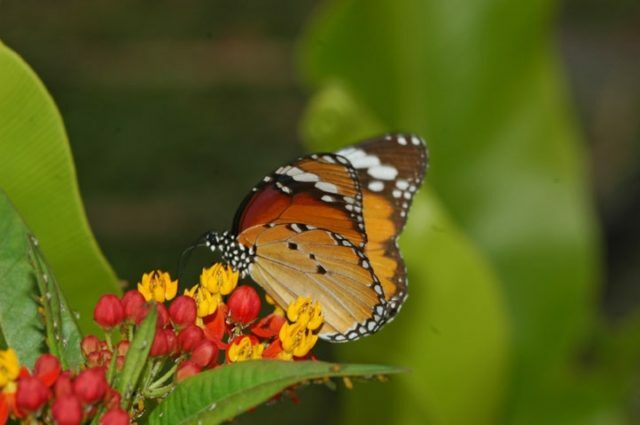 The butterfly trail is behind the Maolin National Scenic Area Administration, and the morning from November to March is the best time to see the butterflies.